can make self-alignment. Their rolling elements linearly come into contact with the raceways of inner ring and outer ring. The bearings can take greatly radial load, suitable for heavy machinery used in mining, metallurgical, paper-making and instrucing, etc., industry. 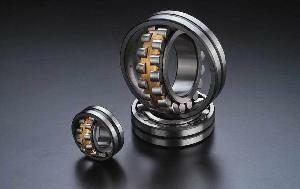 Company Name: Ningbo Wen Jian Bearing & Metallurgical Co.